Boring hand washes have been a thing of the past for quite some time now; there's so much on the market to tempt you into keeping yourself clean but the Carex Complete Fun Edition products have really caught my eye. The first thing I tried from the new ranges from Carex was the Chocolate Orange hand wash which is part of the 'Family Favourite Fragrance' collection and it was love at first sniff - it smells just like a Terry's chocolate orange! So naturally when I was sent some 'Fun Edition' products I was excited to try them! 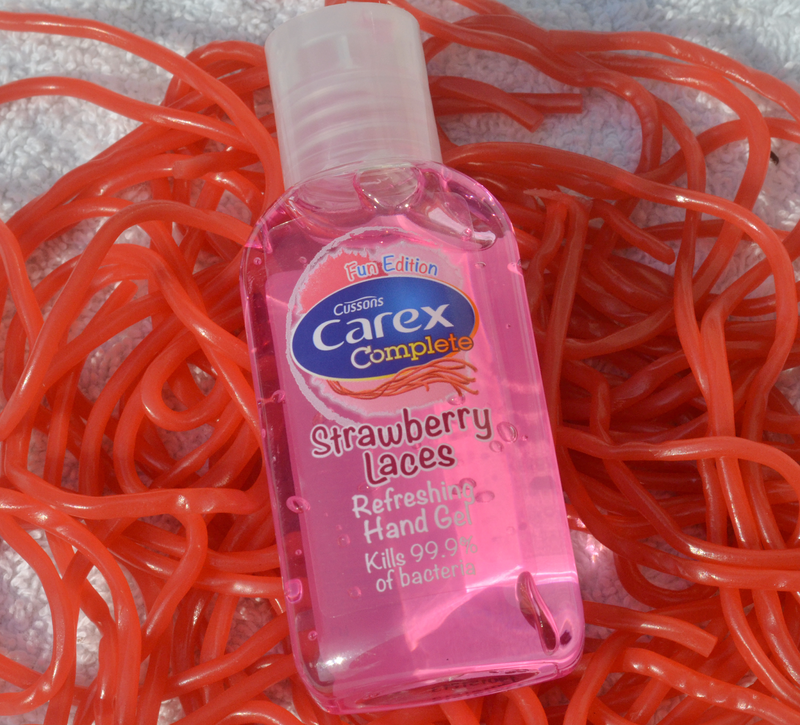 Carex Strawberry Laces Hand Gel £1.45 Superdrug* Hand gel is a handbag must have for me, you never know when you might need to wash your hands when you don't have access to soap and water so it's perfect for just shoving in your bag and squirting onto your hands quickly when you need it. However, most hand gels are pretty bog-standard... boring packaging with the overwhelming smell of alcohol but Carex has changed this! As you would expect, it smells just like strawberry laces and the scent stays on your hands for a good while after application; when I first used it I had lots of people asking what that 'sweet smell' was. It kills 99.9% of bacteria and absorbs pretty much instantly into the skin. For me, anything bubblegum is hard to resist. This hand wash smells amazing, and I just love the colour of it too! Even my grandad commented on how nice it smelt, so it just shows that you're never too old to enjoy a bit of bubblegum. It makes hand washing a little less of a chore for people of all ages; it kills germs and leaves your hands feeling and smelling amazing! I could quite easily have a full collection of these Carex products because they're just so novel! I always have antibac hand gel in my handbag but would LOVE to try this one, it sounds like it smells amazing! 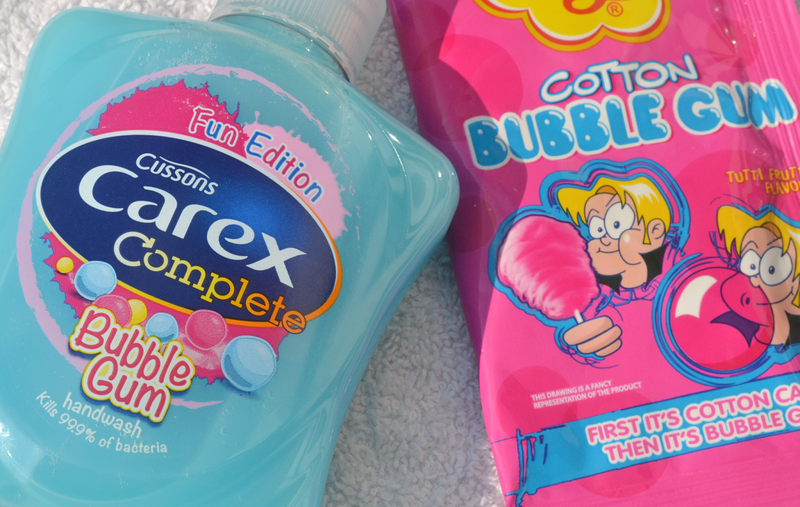 Bubblegum handwash would be so fun too, my mum accidentally bought the coca cola smelling one from Carex and it smells just like cola bottles...such a fun idea! I'm obsessed with always having hand gel on me so I will definitely be trying this one out! Another nice smelling one is the coconut hand gel from the body shop!